Do you like Disney Starry Night? Share it with your friends. 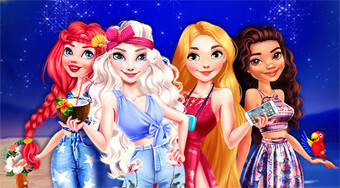 Choose the right hairstyles and swimsuits for Disney princesses who are going for an evening walk along the beach.